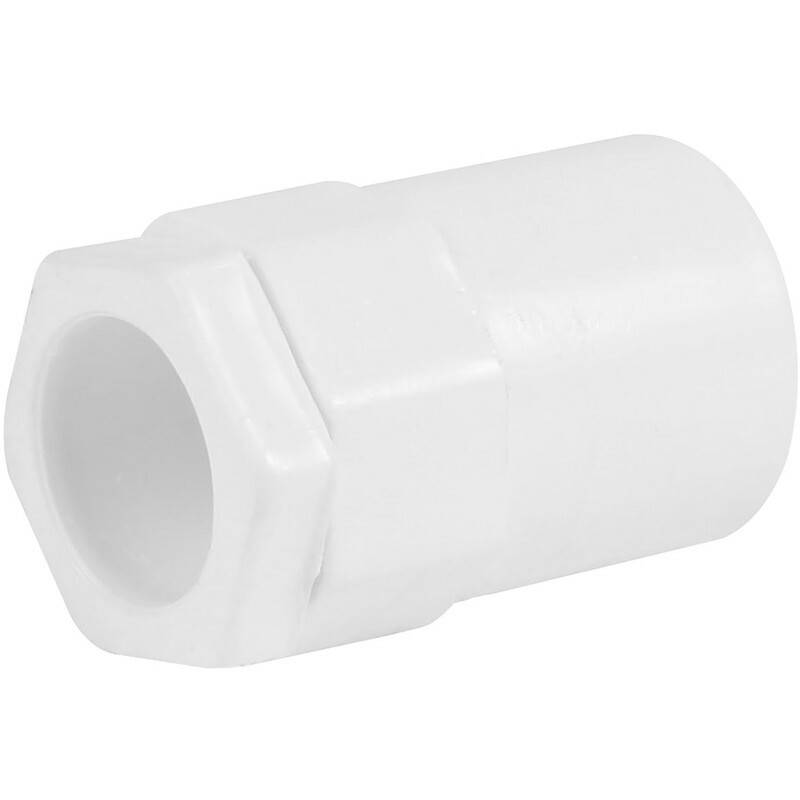 20mm PVC Female Adaptor White is rated 4.0 out of 5 by 4. Rated 5 out of 5 by Insidecentre from Good product. Good product - hard wearing and colour fast. Rated 2 out of 5 by Acnerd from Not what I expected! I thought it would have the usual innards of a traditional stuffing gland. It only had the plastic nut...no washer or rubber grommet inside! Rated 4 out of 5 by Babbo from Good Product Exactly what I wanted and did the job correctly. The quality is not as good as the MK brand but then you are paying a fraction of the cost.